What Are You Reading on Super Bowl Sunday? You may have heard that Super Bowl Sunday is approaching. In his 1973 novel North Dallas Forty, Peter Gent described football this way: "There's no greater display of everything that's magnificent about sport in America and everything that's wrong with culture in America." Last year's Super Bowl drew more than 114 million viewers. On Sunday, Americans will consume 1.25 billion chicken wings, 8 million pounds of guacamole and 8.2 million tortilla chips. If you're a Baby Boomer, there's at least a chance that you've seen all 49 Super Bowls (I know, it's a scary thought). 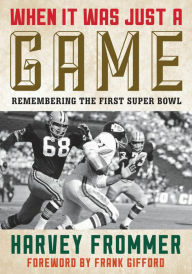 As you might expect, there have been several books published to celebrate the Big Game's golden anniversary, including When It Was Just a Game: Remembering the First Super Bowl by Harvey Frommer; 50 Years, 50 Moments: The Most Unforgettable Plays in Super Bowl History by Jerry Rice and Randy O. Williams; The Super Bowl: The First Fifty Years of America's Greatest Game by David Fischer; Super Bowl 50: Celebrating Fifty Years of America's Greatest Game by Bethany Bradsher and Sports Illustrated's Super Bowl Gold: 50 Years of the Big Game. Cautionary tales are also an option, like League of Denial: The NFL, Concussions & the Battle for Truth by Mark Fainaru-Wada and Steve Fainaru; and Concussion by Jeanne Marie Laskas. Or you can read a point-counterpoint exchange between Steve Almond's Football: One Fan's Reluctant Manifesto and Gregg Easterbrook's The Game's Not Over: In Defense of Football. Bored Panda screened "10 Oscar-nominated movies recreated with Winnie the Pooh." Quirk Books virtually herded "5 fictional cats who would be Instagram sensations." Author John Hansen picked the "top 10 books by transgender authors featuring trans characters" for the Guardian. "Forget dog-earing and bookmarks that fall, make your own easy origami bookmark instead!" Rocket News advised. And Mental Floss showcased bookmarks that "feature the little legs of literary characters." Bookish DIY: Goods Home Design showed "how to make a bookshelf chair." 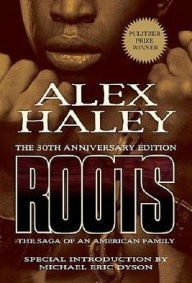 Roots: The Saga of an American Family by Alex Haley (1976) sold a million copies during its first year in print, spent 22 weeks at the top of the New York Times bestseller list, won the Pulitzer Prize and National Book Award, and inspired the miniseries Roots, watched by a record 130 million people. Not since Harriet Beecher Stowe's Uncle Tom's Cabin in 1852 had a work of literature sparked such a cultural awakening in American race relations. The struggles of Kunta Kinte and his family over generations of enslavement, as depicted in Haley's novel but especially in graphic fashion through the television adaptation, transformed the horrors of slavery from distant historical memory to omnipresent national shame. Sayed Kashua is well known in Israel for his weekly newspaper column and for writing the popular TV series Arab Labor. His abrupt decision to leave Jerusalem in 2014 to teach at the University of Illinois came at a time of heightened tension in the region, with kidnappings of both Jewish and Arab youth. In essays for the Guardian and the Israeli newspaper Haaretz, Kashua explained his view that "Jewish-Arab co-existence has failed." Still, he continues to write his column in Haaretz, a blend of personal stories, comedy and political commentary. The column is written in Hebrew, but English readers can now enjoy the translated collection Native: Dispatches from an Israeli-Palestinian Life (Grove, February 2, 2016; see our review below). As someone who writes about both everyday life and larger cultural issues, do you see the "political" and the "personal" as one and the same? I'm someone who takes politics very personally. I think I've never written anything that didn't speak to being a persecuted minority in Israel. How do you get ideas about what to write every week? I think it's been almost 12 years now. But I will quit next week--that's something I started saying nine years ago. It's either that I'm very, very lazy or that it's really difficult, because for me every single week is a struggle. Every week I write my last column. But you know, if I take a week off, it feels like something is missing. So every Wednesday, I set the clock to 4 a.m. to write until 9 a.m. Every week they say, "We're waiting for your column, someone's going to die if you don't submit it!" Otherwise, I don't do it. Deadlines are the best inspiration. Do you have any rituals or strategies that help you think of ideas? It's a little bit different since I moved to the U.S. In Israel, you didn't really need to do much in order to be aware of what was going on. News was everywhere--the dining room, the bar, restaurants. So back then I was focusing on personal stories that could fit into current events. But here, I'm very much focused on the news--it's the first thing I do every morning, check in on Palestine and Israel. I read Haaretz,which is considered to be liberal, to know what's really going on. Then Ynet, which is considered a mainstream source, and Channel 2. I don't really trust the reporting, but they're reporting for the masses. And the New York Times. After moving to the U.S., did anything surprise you about the way people perceive or talk about Israel? No... I wish people would know the reality better. But still, the media and the way people talk here is less harsh than the discourse that I was used to from Israel. I'd in no way say that the New York Times is perfect, but it was still, during the Gaza war, much more left than Israel. But I am still somewhat disconnected from what's going on here. I'm not sure how personally I take the threats of Trump, even. It's not yet my fight here. My fight for me is still back there. Even when I listen to politicians in the state, I think about what the effect will be on the Middle East. Your columns blur the lines of fiction and nonfiction. How is fiction an important part of your effort to tell the truth as you perceive it? I write "autofiction"--a mixture of autobiography and fiction. But I never lie. I might make something up. I use my wife and kids as characters, so I sometimes write about things they didn't say or things that didn't happen. But I never lie about important things. If I write about my grandmother, I'd never lie about the fact that my grandfather was shot in the war. I would make up a funny story about my kid going to the swimming pool, but I'd never lie about another kid saying, "Eck, they're Arabs." I think readers understand that because I've never heard anyone say, "That's a lie!" Except my wife. You've also written novels and a hit TV show. How is writing a weekly column distinctly challenging or rewarding? It feels like when I write a novel, I'm writing it for my editor, not for the public who are going to judge me immediately every week. I think TV writing is a little more similar to the column in that it's about addressing an idea and letting people think differently about reality. There's some kind of education or a punch line that you want to deliver. I wrote a TV drama recently, which is a little more similar to novels in the sense that it's about different emotions. It's called The Screenwriter, and it deals with the writer of Arab Labor [Kashua's sitcom written for Israel's Channel 2]. In the first episode, he announces that he hates the show. "It's about a kind of crisis related to being an Israeli-Palestinian at the edge of 40." The sad thing, or it's not sad--it's a reality--is that I wrote that show three years ago, started shooting in June 2014 and, in the last episode, the character moves. He enters his home and says to his wife, "We can't stay. I received this offer from a university in Oklahoma. We have to go." Usually I write things into a script, and if it works in a script, then I do it in real life. That happened with Arab Labor. I wrote that the character moved to a Jewish neighborhood, and it worked well so I moved with my family to a Jewish neighborhood. What do you hope to work on next? I'm supposed to be writing a novel about someone who writes commercial biographies for other people--a ghostwriter. In Israel, everyone has a story to tell and ghost writing is a big industry. They're not even published necessarily, just made for people's families. So that's the main character. Then his own father hires him to write his biography. It's the only way he can talk to his son. Are there any responses to your column--negative or positive--that have stuck with you over the years? It took me a while to stop paying attention to the comments. Of course, some are good, but there are also really horrible things. At first, I really wanted to quit because of the comments. But most of the e-mails I receive from people are very good. The only kind that stick are those that say something like, "I want to have a son with you." Immediately I show my wife--"You see?" The stylus is mightier than the sword in Paul M.M. Cooper's adventurous first novel, River of Ink, set in 13th-century Sri Lanka. Asanka started life as a lowly village boy but rose to the lap of luxury when King Parakrama chose him as the royal poet. Then comes Magha, prince of Kalinga, with his conquering army. Asanka's beloved king is brutally murdered before his eyes, the regal queen imprisoned, all loyal members of the nobility slaughtered. But rather than kill Asanka, the cruel Magha commissions him to translate a holy Sanskrit poem into the language of the Sri Lankan peasants. Out of fear and a desire to protect Sarasi, the palace servant girl with whom he is having an affair, Asanka agrees, but the mixture of horror and disgust he feels for the tyrant king leaks into his translation; the villain in Asanka's version of the poem bears a strong resemblance to Magha. When his words become a covert rallying cry in the local villages, Asanka finds himself torn between accepting the role of revolutionary symbol and saving his own life. Discover: Thirteenth-century Sri Lanka springs to life in the story of a royal poet who must comply with a tyrannical ruler. For the wealthy, glamorous and idle, 1950s New York was a glittering whirl of parties, lunches and social maneuvering. At the center of it all were Truman Capote, wildly talented author and flamboyant society darling, and the handful of women he called his "swans." Melanie Benjamin (The Aviator's Wife) explores the intimate, tangled relationships of this circle in her fourth novel, The Swans of Fifth Avenue. Stylish, gorgeous and married to wealthy, powerful men, the swans embraced Truman first as a curiosity and then as a friend. As he spent more time in their company, Truman became particularly close to Barbara "Babe" Paley. Admired for their external gifts--Truman for his way with words, Babe for her beauty and taste--both harbored deep insecurities that they revealed to one another. Benjamin traces Truman and Babe's unexpected, wholly absorbing friendship and its effect on the other swans. She evokes her characters and their milieu in prose that sparkles like the diamonds they wear. She draws parallels between the swans' unspoken terror of being abandoned for younger, more desirable women, and Truman's fear of being unable to top the success of his blockbuster book, In Cold Blood. When Truman decides to mine the juicy scandals his swans have shared with him privately for a new story, neither he nor they can imagine the destruction it will cause. Discover: This novel focuses on the unlikely, absorbing, real-life friendship of Babe Paley and Truman Capote that flourished in the glittering social whirl of 1950s New York. If medical science could create new "blank slate" bodies for the sick and incapacitated, And Again posits, what consequences would come with transferring into one? Hannah the artist and David the congressman both were near death from cancer. Connie the actress had an aggressive strain of AIDS. Paralyzed in a car crash, wife and mother Linda spent eight years unable to move any part of her body except her eyelids. In a revolutionary clinical trial, doctors implant cross sections of their brains into new bodies grown from versions of their DNA--with the diseases deleted. Delivered from death's door back into the arms of their loved ones, everything is different--and yet, nothing has changed. Hannah thinks her fiancé, Sam, and older sister, Lucy, who once dated and remain close, harbor a secret about the last days of her illness. David hoped a new body would free him from his bad habits, but still finds himself itching for a cigarette. Now that she has her physical beauty back, Connie feels alienated from the film industry that quit valuing her when she lost it. Linda returns to a lukewarm welcome from her children, who were babies when she had her accident, and immediate requests for more children from the husband she isn't sure she still loves. Discover: Four terminally ill patients have their consciousnesses transferred into healthy duplicate bodies and must then navigate the wreckage of their old lives. When Veblen Amundsen-Hovda and Paul Vreelend fall in love, the path to the aisle is rocky. Paul, an ambitious Stanford doctor, is perfecting a device that will minimize battlefield brain trauma. Named for Thorsten Veblen, the "conspicuous consumption" economist and author of The Theory of the Leisure Class, Veblen is an "experienced cheerer-upper, and freelance self," a temp and amateur translator of Norwegian--and she's thrilled with Paul's altruistic goals. Will Paul's "peacenik" hippie parents, or Veblen's narcissistic hypochondriac mother, or the heiress of Hutmacher Pharmaceuticals, with her eye on Paul's invention (and Paul), sour the romance? We could ask the squirrel. The Portable Veblen, Elizabeth McKenzie's audacious and hilarious novel, introduces the western gray at the very moment Veblen responds to Paul's proposal. "'Yes?' the man said. The squirrel emitted a screech." Veblen, who has a talent for communing with nature, heeds its cues. McKenzie's squirrel is as credible as anyone in her delightful cast of quirky characters. As Paul and Veblen navigate the obligatory meeting of the families and planning their wedding, Paul starts trials at a VA hospital for his invention. McKenzie satirically juxtaposes the grim reality of wounded veterans with the military bureaucracy, and big pharma wheedling its share. When Hutmacher rushes the product into production, Paul blows the whistle--with disastrous results. Discover: This fast-paced satire of the medical research businessand of family and marriage is populated with memorable characters. Tim Powers, twice winner of the prestigious World Fantasy Award (for Last Call and Declare), is back with another hard-hitting fantasy/horror novel in which time bends, spirits abound and madness threatens. In Medusa's Web, Powers tells the story of siblings Scott and Madeline Madden, who return to Caveat, the aging, sinister mansion where they were raised, after their aunt's suicide. Their cousins Claimayne and Ariel, however, are anything but welcoming. Claimayne has become addicted to a form of magic that involves temporal location, and once the Maddens are settled back into Caveat, they, too, succumb to the enchantments that Claimayne uses to enter another's body in the past--folded bits of paper with arcane designs that flatten time. Madeline, in particular, is drawn into the past in an obsessive, dangerous way, and Scott must put himself in great danger to attempt to set matters right. Discover: A fantasy/horror master offers an absorbing look at the magic of time travel. Like Serge Storms, the protagonist of his 18 comic Florida crime novels (including Shark Skin Suite), Tim Dorsey has made it a personal mission to chronicle every swamp, strip mall, abandoned speakeasy and weird roadside attraction of his home state. Nobody does wacky Florida like Dorsey, and no other fiction crime buddies quite compare to Serge and his drug- and alcohol-fueled sidekick, Coleman. In Coconut Cowboy, they aim to rewrite the ending to the iconic 1969 movie Easy Rider. To Serge, their adventure is to complete the film characters' goal of finding the American Dream in Florida. To Coleman, it's "morning, noon and night, coast to coast, blazing fat ones... listening to righteous music, munching out." They trade their Mercury Comet for a Harley hardtail with ape-hangers and a sidecar, and off they go down back roads, stopping at little-known landmarks like early haunts of the Allman Brothers, Tom Petty and Lynyrd Skynyrd, and the hippie tent cities of off-road dope and music festivals. As in other Dorsey novels, a seemingly unrelated plot develops in the small town of Wobbly, where a local extended family of rednecks lines its pockets from highway speed traps, utility shakedowns, real estate developments straddling sinkhole formations and money laundering for a Miami drug dealer who describes them "like if Duck Dynasty went over to the dark side." Of course, the Serge and Coleman road trip winds up in Wobbly, where all sorts of wrongs get righted--and many rights get trampled. It's all fun in the Sunshine State, which one character describes as "the nation's pace car of dysfunction." --Bruce Jacobs, founding partner, Watermark Books & Cafe, Wichita, Kan. Discover: Tim Dorsey's indomitable Serge and Coleman aim to rewrite the ending of Easy Rider and discover the American Dream in Florida. As editor-in-chief of io9.com, Charlie Jane Anders is an influential voice in the realms of science fiction and fantasy. Her debut novel, All the Birds in the Sky, is two coming-of-age stories in one, following Patricia Delfine and Laurence Armstead as they evolve from bullied, misunderstood children into socially accepted, internally conflicted adults. Their lives and their respective interests in magic and science intertwine. As a child, Patricia finds that she has the ability to talk to animals, and a Parliament of Birds--difficult to explain but exactly what it sounds like--proclaims her a witch. Laurence finds refuge from social torment in gadgetry, building a two-second time machine and an artificial intelligence that talks to Patricia when she's lonely. All the Birds in the Sky stands out thanks to its sweeping ambition. What Anders is attempting here--aside from a bildungsroman, love story, climate change warning, meditation on the nature of consciousness and all-around existentialist panic attack--is nothing short of a grand, semi-literal reconciliation of science with nature. Discover: All the Birds in the Sky weaves magic and science fiction into an emotionally complex story about growing up and finding love. Volker Weidermann's Ostend: Stefan Zweig, Joseph Roth, and the Summer Before the Dark is a glimmering work of language and an insightful tribute to literary friendship in a singular historical moment. Stefan Zweig was a successful and popular Austrian writer; Joseph Roth was less successful but also gifted, a tortured, heavy-drinking writer whom Zweig called his "literary conscience." When war loomed in the summer of 1936, Zweig returned to the Belgian seaside town of Ostend, where he had spent the summer of 1914. His work no longer welcome in Germany, his home in Salzburg defiled by police and his marriage collapsed, he nonetheless joyfully embarked on new work and new love with his secretary, Lotte Altmann. And he brought along Roth, supporting him financially and in his work (support that would strain their complex, fraternal relationship throughout). The troubled Roth, too, found new and rejuvenating love with a German writer, Irmgard Keun, one of the few non-Jews in their small émigré community. Discover: This poetic contemplation in translation illuminates an uneasy creative community of artists and writers gathered one summer as fascism and Nazism are growing in Europe. Ji Xianlin was one of many Chinese intellectuals held in makeshift prisons, called cowsheds, on university campuses during China's Cultural Revolution, which began in 1966 and lasted for 10 years. He was mocked, humiliated, beaten and starved. He wrote about these experiences only reluctantly, observing late in life that none of his fellows had done so and that younger Chinese need to know their history in order to learn from it. In 1998, he released his memoir, now translated into English for the first time as The Cowshed: Memories of the Chinese Cultural Revolution. Ji narrates his years of torment compellingly, in remarkably fair-minded fashion. He claims that his work is not literary, but it is adorned with lovely metaphors: he compares his torture to Indian and Chinese concepts of hell, "a veritable pagoda of horrors," and makes reference to the steep path to Mount Tai, one of five Taoist sacred mountains. Discover: This memoir by a survivor of the Chinese Cultural Revolution poignantly sheds light on an under-examined period in history. After a decade as a columnist for the left-leaning Israeli newspaper Haaretz, Sayed Kashua has shared much of himself with the public. Described by the New Yorker in 2015 as "perhaps the most visible representative of Palestinian life in Israel," Kashua has written hundreds of personal stories, as well as the popular television sitcom Arab Labor and three novels (Dancing Arabs, Let It Be Morning and Second Person Singular). 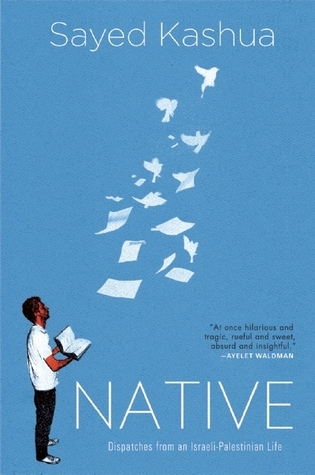 Native: Dispatches from an Israeli-Palestinian Life collects his columns, translated to English by Ralph Mandel. 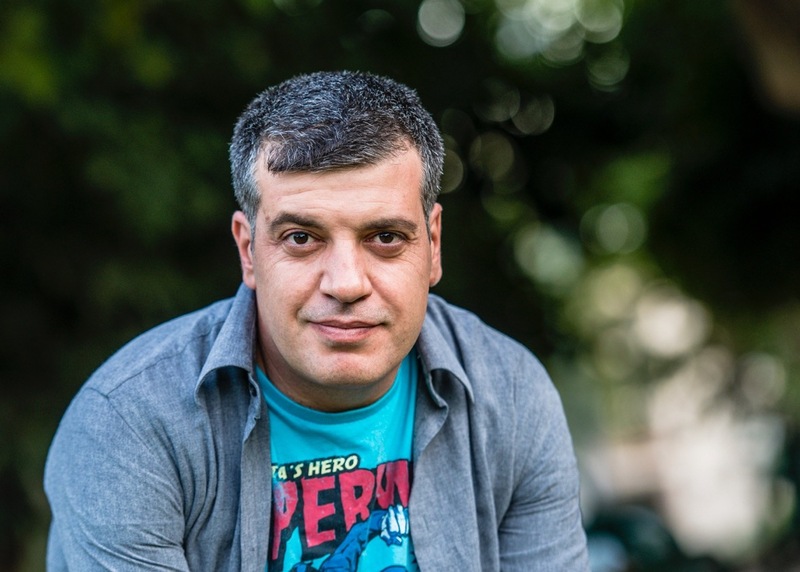 Discover: Arab Israeli writer Sayed Kashua comments on life, culture and politics in a collection of essays written for the Israeli newspaper Haaretz between 2006 and 2014. In Salt to the Sea, Ruth Sepetys (Between Shades of Gray; Out of the Easy) illuminates a lesser-known World War II maritime disaster: the Soviet torpedoing of the German ship Wilhelm Gustloff in the Baltic Sea on January 30, 1945, a tragedy that killed 9,343 evacuees--including 5,000 children--more than the Titanic and Lusitania combined. Sepetys's father's cousin Erika had passage on the Gustloff, but never boarded it. Readers are introduced to the strong, distinct voices of four young adults in short, powerful blasts: Joana, a Lithuanian nurse; the pregnant, Polish Emilia; the Prussian restoration artist Florian; and Alfred, a twisted and zealous Hitler-loving sailor who imagines, but doesn't send, chilling, self-aggrandizing letters to his beloved Hannelore. Joana, Emilia and Florian meet randomly in East Prussia, all fleeing from the advancing Red Army, all hiding dangerous secrets that slowly reveal themselves. They move west across a wintery landscape with "a kindly shoemaker, an orphan boy, a blind girl, and a giantess," eventually making their way to Alfred's ship, the Wilhelm Gustloff, at the port of Gotenhafen. Discover: In this brilliant YA novel set late in World War II, Ruth Sepetys explores the tragic, little-known story of the sinking of the German ship of evacuees, the Wilhelm Gustloff. Newbery Honor author and Scott O'Dell Award winner Kirby Larson (Hattie Big Sky, Hattie Ever After, Dash) takes an 11-year-old orphan girl from Indiana to President Taft's 1910 White House in her delightful series debut, Audacity Jones to the Rescue. Miss Maisie's School for Wayward Girls is the crumbling home to peevish girls, caterwauling girls and sweet girls--17 in all--but Audacity Jones, or Audie, is the only one who regularly, inexplicably, gets banished to the "Punishment Room." What the other girls don't know is that this much-feared room is a magnificent library, and therefore absolute heaven for the bookish Audie, who longs for adventure, both fictional and real. She gets her chance when Commodore Crutchfield appears at the school, pretending to recruit a volunteer for a "[s]upremely hush-hush" mission, but secretly hoping to find a disposable orphan to aid him in a nefarious scheme involving President Taft's 12-year-old niece, Dorothy. (This plot was inspired by an actual news story!) And that's how Audie finds herself in a fancy automobile heading east to Washington, D.C. Discover: In Newbery Honor author Kirby Larson's witty, suspenseful series debut, 11-year-old orphan Audacity Jones visits President Taft's White House under highly suspicious circumstances. There's a public space in New Orleans called Congo Square where people have been meeting on Sundays to make music, sing and dance ever since the mid-1800s, the time of slavery. Freedom in Congo Square is a graceful, gorgeous picture book that honors this Louisiana gathering spot, now on the National Register of Historic Places. Caldecott Honor author Carole Boston Weatherford (Moses: When Harriet Tubman Led Her People to Freedom) calls this landmark "freedom's heart." As her author's note states, "Congo Square is now part of Louis Armstrong Park, which is named after the jazz great and New Orleans native. That is fitting since jazz... evolved from the African rhythms kept alive in Congo Square." A glossary and a dense but accessible two-page foreword further contextualize the book, which on its own is a rhythmic countdown of hardworking slaves looking forward to a celebratory Sunday off in Congo Square. Discover: This beautiful, moving picture book commemorates Congo Square in New Orleans, where, in the mid-1800s, slaves and free blacks played music and danced on Sundays.